With the long hours, the draining work, and little to no thanks, being a nurse is incredibly stressful and difficult. In addition to being on your feet all day with little time to rest, nursing can really take a toll on your body.From discomfort in your shoulders, back, and even your feet, it’s important to invest in items that can reduce the amount of strain you put on your body, and make the job a little easier. This is especially important if you have flat feet. In this article, we will review the best nursing shoes for flat feet. Before we get to the list of the best nursing shoes for flat feet, let’s start by first understanding what Flat feet means, the symptoms and how you can avoid them. If you’re looking to finding a good pair of nursing shoes, check our review on the best shoes for nurses. Flat feet, also known as fallen arches, is a term used to describe people whose arch (the inner part of the foot) is rather low or it is non-existent. People with fallen arches usually have their feet pointing outwards. This is caused by overpronation, which occurs when the feet roll inwards. Flat feet can be caused by a number of issues including inheritance from previous generations, weak arches and foot or ankle injuries. Injury to connecting tissue from obesity, overuse or wearing bad shoes that don’t have good feet support can also cause flat feet. Supportive well fitted shoes is one of the main recommended ways to avoid and to diagnose flat feet. We have therefore come up with a list of the best nursing shoes for flat feet which we hope will help you find the right pair for your feet. Check out this article if you want to learn more about flat feet. 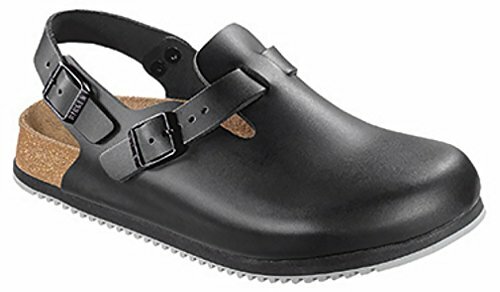 One of the most popular shoes Dansko offers, the professional clog comes in a variety of colors and styles. 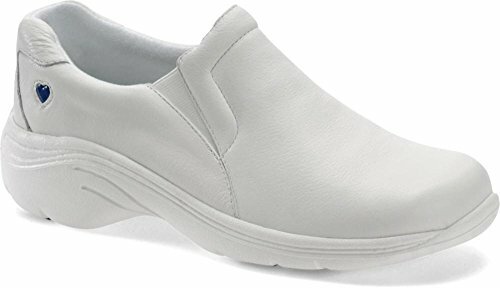 This shoe is great for arch support and is designed for all-day wear, making it one of the best options for nurses with flat feet. It also has a nice and modern look. The material is very flexible and durable as well. These shoes are known to last for years before needing to be replaced. With the ample toe room, it allows increased blood flow to the front of your foot, ensuring you stay comfortable for as long as possible. It’s crucial to be properly sized for these shoes, which makes ordering online rather difficult. However, Dansko is sold at many popular shoe retailers and their website features a “Retailer Locator” feature. The Dove style is unisex, which makes it a great choice for everyone. It is also NurseMates best selling style. This shoe is very lightweight and allows for easy slip-on and off. In addition, it also has a smooth and professional style. The sole is rubber and slip-resistant, which is a must have when nursing. These shoes are designed with those who need extra arch support in mind. People who have wider feet may have a hard time getting comfortable in these shoes. This is why it’s important to be properly sized to ensure your feet have good enough blood circulation. Also, current colors offered are only white and black. This style has been around since the 1980’s, and is a Birkenstock classic. It also provides an alternative to the typical higher-heeled clog style. This shoe is made from high quality materials and has a non-slip rubber sole. The cork-latex footbed is contoured to fit your foot perfectly. The material is very easy to clean as well as grease and oil resistant. Birkenstock’s are renowned for their durability while offering comfort and support all day long. The strap around the back offers a customizable sizing option for you to really personalize your shoe. There are also two width options: regular and narrow. This style is known to take a little longer to break in than your typical new shoe. Many customers report that it takes several days at least. It is also important to make sure you buy the right size to allow for proper circulation. This unisex style is affordable and comes in many different colors and patterns. 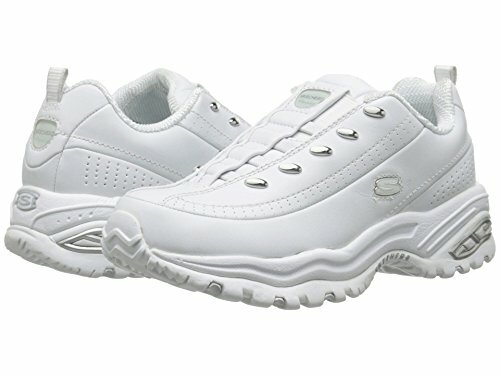 These shoes are specifically designed for workers in industries that are known to have long days on your feet. The soles are slip-resistant and are textured to sort of massage your feet as you walk. The material is very easy to clean and is constructed to be lightweight while delivering the maximum comfort. The footbed contours to your foot making it a safe choice for those with wide or narrow feet. There is also an added heel strap for a secure fit. With the shoe’s ultra lightweight design comes slightly less support, though they are compatible with most orthopedic insoles. Sizing tends to run a little on the larger side, so take that into consideration when purchasing. The outer material is also not incredibly flexible. The Debra is a fashionable shoe designed with the working professional in mind. The shoe’s outsole is “lab rated” slip-resistant and has a stain resistant leather coating. The leather covered insole also allows your feet to breath, which lets them remain fresh and dry all day long. The footbed includes a memory foam component, providing a personalized fit. In addition, the footbed is entirely removable . This allows for special insole inserts to be installed, ensuring your comfort for the entire day. The construction is designed to improve posture, as well as provide superior support. 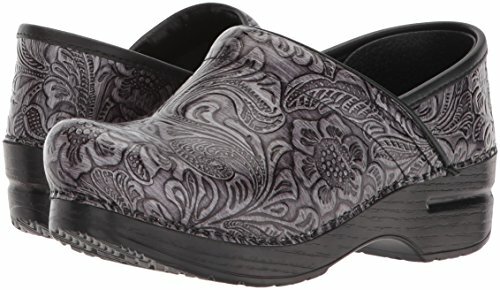 The Debra is another top design and one of the best nursing shoes for flat feet. The printed designs are known to scuff more easily, and show signs of wear far quicker than the solid designs. The shoes are also made to fit very snugly, which can be a downside for those with wider feet. Some customers report that they can feel the insole lock in the heel of the shoe as well. This comfortable, classic sneaker is both affordable and stylish. The lace less design offers easy slip-on and off, as well as a fashionable approach to the traditional sneaker. The footbed is cushioned and the shoe has a supportive rubber sole. In addition to the cushioning aspect of the footbed, it is also highly shock absorbent. These shoes are a good alternative to the classic nursing clog. They are also offered in a medium or wide fit, however are only available in white. There are documented complaints stating that circulation where the shoe meets the ankle is not ideal, which makes bending difficult. It is reported that the quality of these shoes is not as high as some of the aforementioned models. The elastic is also not terribly flexible. We’ve already looked at the 6 best nursing shoes for flat feet that we recommend, but what specifically should you be looking for when choosing one? A lot of nurses end up buying nursing shoes only to find out that they are not as comfortable as advertised or worse, they don’t fit them. It is important that you buy the right shoe size. A good shoe should fit you right when you buy them. If they don’t, you are putting yourself at risk of getting bunions, corns and even bone spurs. Some shoes tend to have a “break in” period. There are ways to “break in” to shoes without hurting your feet. Try them out. Buying nursing shoes online can be a hassle, more so finding the perfect size. We recommend that you read the shoes description carefully, or ask the seller personally if the shoe is a perfect size. Some shoes tend to be slightly bigger and others smaller. So be sure that you are content with the shoe size before buying. Another crucial thing to consider before buying nursing shoes for flat feet is the arch support that the shoes offer. If you have flat feet, your shoes tend to lean inwards. You should therefore look for shoes with straight insteps. This will give you stability during walking. For some people, there is a need to add extra arch braces and orthotics for maximum support and comfort enhancement. If you are one of those people, we have you covered. Check out this article to find out the best insoles for nurses. Just like arch support, the heels and toes is a key factor in getting the right pair of shoes. For maximum support and comfort, make sure the toe box of the shoe is spacious enough. Your toes should be able to wiggle comfortably. The heel should also have some spacing to allow for heel movement. If the shoe heel has little spacing, then the shoe is tight. If you have tried most of the nursing shoes and you still have problems with stability and comfort, it is advisable to seek professional help from a podiatrist or a foot doctor. They will examine your foot for potential medical conditions that may affect your instability and discomfort. In most occasions, they will recommend the best pair of shoes specifically for your feet. We hope that with this detailed guide, you will find the best nursing shoes for flat feet. If you have flat feet and you think there’s a pair of nursing shoes we have not included, please let us know in the comment section below. You might also be interested in our best nurse shoes review.